What happened to Christ's Church? Did it survive Christ's death? Or was it lost, and if so, is it present on earth today? 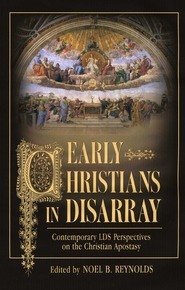 Author Tad R. Callister has delved deeply into the writings of both early Christian writers and Latter-day Saint leaders to present thirteen evidences that Christ's Church fell into apostasy, including the loss of the apostles, revelation, priesthood, miracles, scriptures, and gifts of the Spirit, and the corruption of the doctrinal teachings and holy ordinances. But beyond just presenting the evidence of a great apostasy and the need for a heavenly restoration, the author explores the equally important questions of why? Why was an apostasy inevitable? Why were the teachings of such basic doctrines as the nature of God, the Fall of Adam, baptism, grace and works, and marriage corrupted and changed? Why were the ordinances of the sacrament and the temple altered, and in some cases lost? Why was Christ's Church not immediately restored to the earth? Why is it important to understand the doctrine of the apostasy and the restoration? 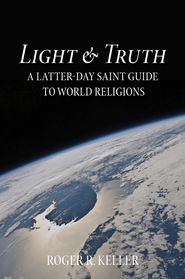 Brother Callister invites the reader "to test this book with an open mind, to analyze its historical accuracy, to verify the scriptural authenticity, to contemplate its underlying rationale, and, most of all, to sincerely ask God for a spiritual confirmation as to whether or not there was an apostasy of Christ's Church, followed by a restoration in modern times. As I personally exercised that prerogative, the answer was clear and profound." The apostasy was inevitable and the promised restoration did happen—in the spring of 1820 when the boy Joseph Smith asked God the Father essentially, "What happened to Christ's Church?" Next to James Barker's book, this is a great book to help document the changes fromt the primitive church. Along with The Great Apostasy by Elder Talmage, this is one of the best books ever written about the apostasy. Callister explains every detail of the falling away of the Church with such clarity that it is breathtaking. His style of writing is elegant. Not only does he use his own words in proving the apostasy, but he also quotes from Christian writers from the first few centuries after Christ to give the reader a feeling of what things were like at the time. This is a very impressive work. I highly recommend this book to anyone seeking more knowledge about the apostasy and everything that occured in history as a result of it. This is a thorough survey of early Christian writings, historical documents, scripture, logic, and reason. Heavy referencing to the Ante-Nicene Fathers, which is a monster compilation of translations of the early Christian fathers. While the early fathers also had much error mixed with truth in their teachings, the purpose here was to see patterns and trends among the early writers. 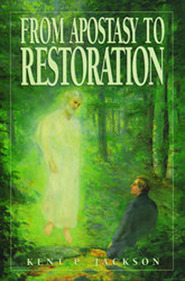 Many of the doctrines of the Restoration can be found in these patterns and trends. What is impressive about this is that Joseph Smith, an uneducated farmboy in the early 1800s, when none of this was available, could introduce doctrines that do have precedent in these documents, without acess to these documents, is truly a miracle. I found the scriptural arguments even more impressive, as early Christian writings were all over the place, so they can not definitively answer all the questions. However, their writings, coupled with scriptural, logical and historical arguments, present a compelling case. Again, all from a backwoods farm boy. In these 1000s of years since Christ, the best of scholars have not accomplished such a feat. If it's so easy to do, then why not? Perhaps because Joseph Smith's source material for his works were as he claimed, from a Higher Source.